« Your Children’s Friends Have More Influence on Their Fitness Than You Think! Massage therapists see many people with neck and shoulder pain. In the U.S., a large proportion of people either work at a computer all day. A pain pattern I see commonly from those that place their keyboards far away from the edge of the desk and set papers in front of them on the desk before the keyboard. Then they lean far over the paper to type. This can result in tight and painful muscles in the middle of the back. 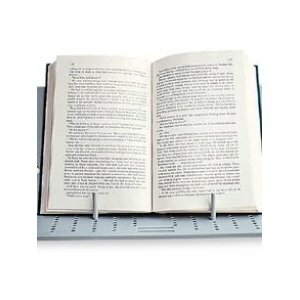 An easy and inexpensive fix for this is to buy a document holder and use it to stand your papers or books upright, at a slight angle so that you can see your documents and still have your keyboard closer to you as you type. 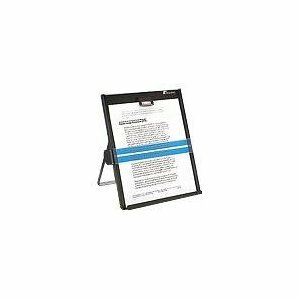 I’ve provided a list of the best document stands I could find on Amazon below. $29.99 at Amazon click here. $24.88 at Amazon, click here. 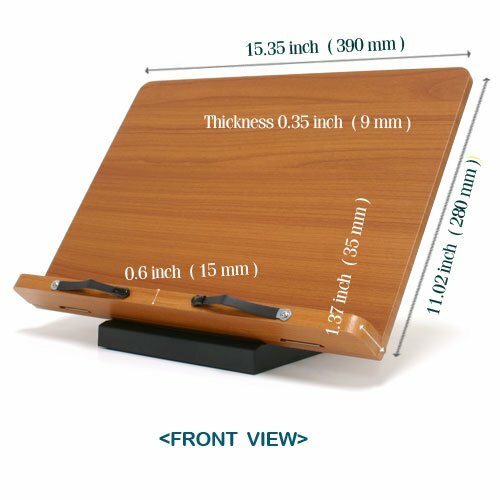 I like this stand because its affordable and because it’s metal, it is most likely easier to write on if you need to take notes. Price on Amazon $12.99 click here. • This is the 4th or 5th Portabook I’ve purchased. I recommend them to massage clients and give them to friends and family. The Portabook is lightweight and easy to pack into a backpack along with laptop. It holds books, papers and lap taps easily. A set of coated rubber bands holds large books or a laptop keyboard in place. 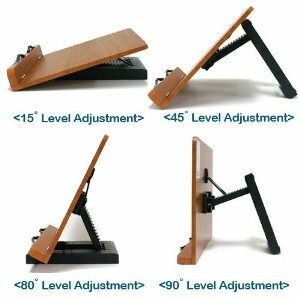 Using the Portabook relieves neck and shoulder pain caused by looking down at papers and books. It can also be used to hold a laptop at an angle that is easier to viewing the screen. However, it’s best to plug-in an extended keyboard in this setup or you ave to type with your arms up to your shoulders! $35.25 at Amazon click here. $26.23 at Amazon, click here. 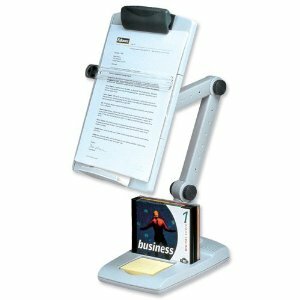 I am leery of this stand but it does offer the flexibility of allowing you to position your document where its easiest for you to view. the down side is that the stand takes up a lot of room and that these types of arms tend to be flimsy and break often as noted by Amazon reviewers.